We had loads of blog fun on occasion of Father’s day! I wrote an Open Letter to the father of my kids, Sarika and Sara shared yummylicious recipes. 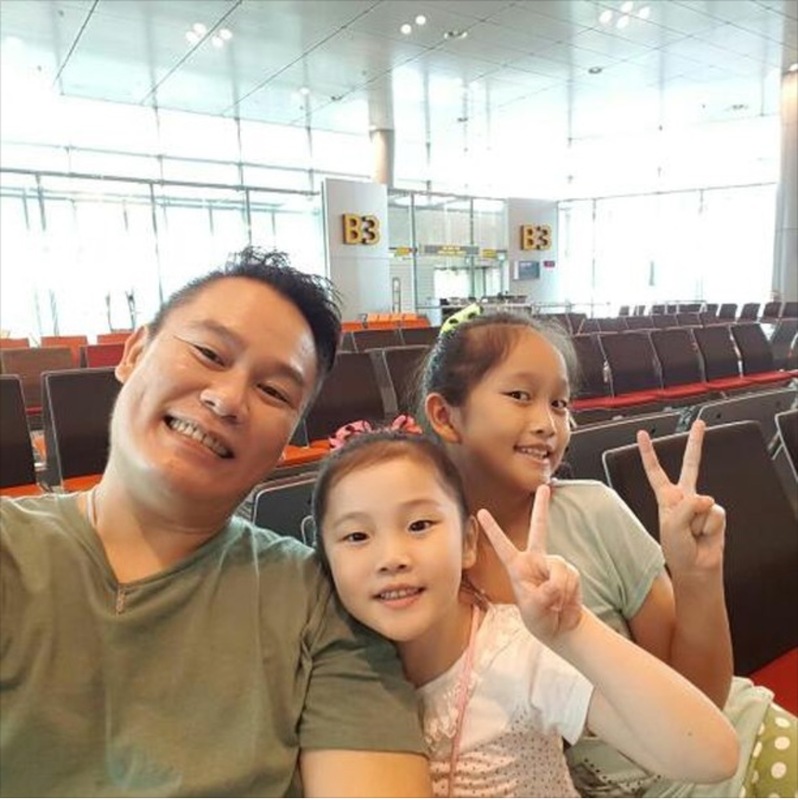 Last but not the least, in this series of Dads special post…We have 2 beautiful ladies sharing what the father of her kids and her dad respectively like to eat the most! After all, as they say – way to Man’s heart is through his stomach…even applies to Dads. Sandra is one of our favorite readers. She always makes sure that she shares the good stuff found on RainbowDiaries on her social media. We first got to know about her on Instagram and later Facebook. She shares this beautiful pic of her kids with their awesome Dad. Sandra says her hubby’s favorite most recipe is Claypot Rice from Hong Kong. And those of you love to cook at home, here is a recipe for our lovely readers! This is an elaborate link and am sure we would love to try out. Thanks Sandra for giving us one mouth-watering choice! Appa’s face lights up whenever there is “Meenu Kolambu” (Fish curry)” prepared at home! His excitement and Amma’s Meenu Kolambu fragrance are always in perfect harmony! Haha? I absolutely adore it when Appa never misses to garnish and give his magic touch to the tasty Meenu Kolambu prepared by Amma! I do miss this scene a lot since now am away from home (Bombay), here in Singapore. But whenever I call home, and ask Amma “ennaikku enna samaiyal?” (today, what’s on the Menu?) And if she responds with a slight giggle “Meenu Kolambu”, all the memories come rushing back. I have always seen Appa helping Amma in her cooking. It’s like none of her dishes are complete without his magic touch and she adores it too! ? Can never forget those days when Appa used to travel from Chembur to VT for over 40 years by local train to his office, Reserve Bank of India. Every single day on returning home, he had a big smile for me! No matter how tired or how his day was at work, he never ever showed it to us. When I think about it now, what an inspiration he has been! How well he managed his finances, facing all the hardships, to bring up my brothers and myself. Always sacrificed his wants for us. It was all about us, our education, our well being, our desires ?. Such unconditional love can only be given by parents! Yeap, I do see a big “nod” from you who is reading this ? I feel proud when even today he is in touch with his old colleagues / friends after retirement, and always at his feet to help them in whatever way he can! ? Love you Appa… And thank you Amma for being such a strong woman and a super support to Appa! Okay it’s now time to call Amma and ask her right away, “ennaikku enna samaiyal?”? Thanks Christy for this cute caring write-up! RainbowDiaries got curious and googled the recipe for “Meenu Kolumbu”. The recipe link is here for pampering your taste buds.